The Irish production company has launched a new drama division as a part of its inaugural scripted slate ahead of Series Mania in Lille, where it will meet with various international broadcasters and production partners. Three series will be pitched by ShinAwil under the new division, run by ‘Vikings’ and ‘The Borgias’ producer Aaron Farrell and former RTÉ commissioning editor of drama Mary Callery. ‘Flying Blind’ is a four-part drama series written by Ann-Marie Casey (‘An Englishwoman in New York’, ‘The Clinic’). The script follows the British aviators John Alcock and Arthur Brown as they embark on the first non-stop Transatlantic flight in June 1919, flying from St. John’s, Newfoundland to Connemara in Ireland in a modified World War I bomber. ‘Flying Blind’ is supported by Screen Ireland. ‘Kill’ is a six-part black comedy following local cop Tom Dolan as he struggles to solve a series of bizarre murders in the unfortunately named tourist hotspot of Kill. The series was written by Barry Devlin (‘Ballykissangel, ‘The Darling Buds of May’), whilst RTÉ and Screen Ireland are partnering the project. ‘Tara and The Humanimals’ alternatively is a 13-half-hour episode drama series aimed at adolescents. The series follows a young girl sent to live in Ireland with her estranged father. However, she makes the astonishing discovery that she is descended from an ancient line of Druids, unravelling her unique inherited powers from her ancestral line. ‘Tara and The Humanimals’ is supported by the Broadcasting Authority of Ireland (BAI) as well as Canadian independent production company CCI entertainment and the Canadian Media Fund. 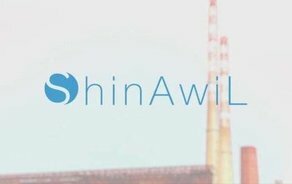 ShinAwil is an Irish production company best known for its television work on popular unscripted shows such as the Irish versions of both ‘Dancing with the Stars’ and ‘The Voice’. This launch marks the company’s first foray into drama. Series Mania runs from the 22nd-30th March 2019.